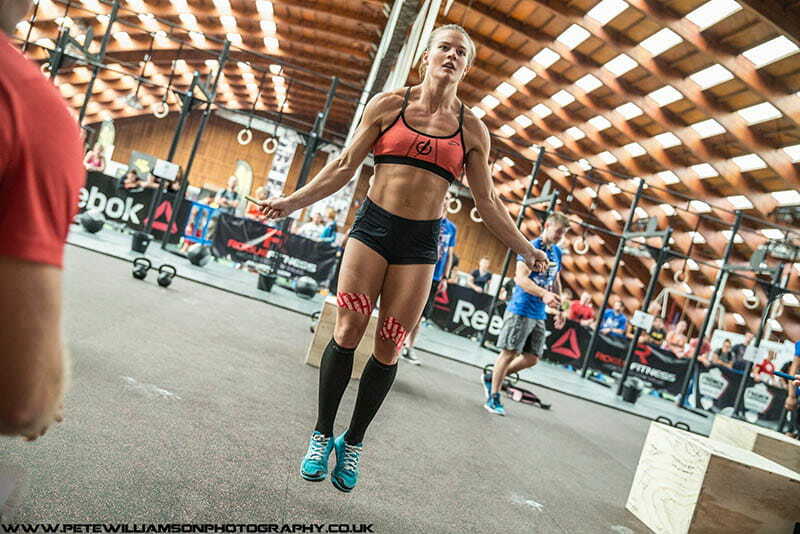 Björk Odinsdottir is the newest official member of Team RPM Fitness. She will be representing RPM throughout the 2015 CrossFit season. RPM got to chat with her about her athletic background, training tips and, of course, double unders. 1. Gymnastics has played a huge role in your life for a long time. How has that impacted your career as a Crossfit athlete? I would say the coordination from all years of gymnastic training has helped me a lot especially in Olympic weightlifting movements. And then of course how well I know my body and its limits. 2. Is there anything from your gymnastics training that you can say has helped with your jump rope technique? Yes I actually did a lot of jump rope training in my gymnastics, but we didn’t have fancy ropes like we have today. We had much slower and heavier ropes so I could say we learned it the hard way. We did some double-unders on the floor and then some single jumps on the beam for balance training. So yes that background has helped me a lot. 3. What advice do you have for people struggling to string together double-unders? It’s all about timing so I would let them do slow singles and possible with a little thicker rope so that they can see it and feel it. When that’s perfect I would make them start trying to do some DU jumps in between the singles as long as the timing of the jumps are the same. 4. Which athletes were big influences early in your Crossfit career? I look up to so many athletes but I would say that Sam Briggs has had big effect on me and I always look up to her for her mental toughness and her attitude. 5. 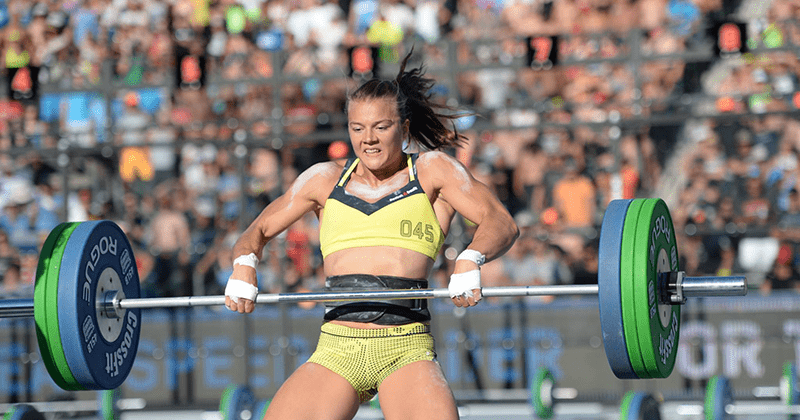 CrossFit Nordic has a pretty stacked team. Do you get to train often with the other high-caliber athletes in your gym or do you train mostly on your own? What do you prefer? I’m so lucky that I’m training at CrossFit Nordic because of the high standards we have there with both athletes and coaches, and how we push each other to get better everyday. So I try to train with them most of the time, sometimes they do my program, or we just train at the same time. And we always have so much fun. It’s really important for me to share my training with friends and have fun. 6. Is there one particularly horrible workout that sticks out in your mind as the worst you’ve had to endure? Yes! I had only been doing Crossfit for about two months, back then I only trained like 4-5 hours a week, and we had a small club competition on Friday night. They threw at us a workout we call Ellie which is like Fran but with burpee thrusters and CTB pull-ups. I was sure I would never finish that one! I hit the wall early in the first round! Took me like 20-25 minutes. 7. Is there a Crossfit movement that was more difficult for you to master than some others? How did you deal with that? That’s running, rowing and wall balls. I’m a gymnast and we only run like 20 meters the longest. And I’m not the tallest athlete out there so wall balls and rowing are not my favourite. But it has been a work in progress for the last 4 years and is getting better and better. All these movements take time to develop. I was really frustrated about this at first but when you see that the hard work pays off and you are actually progressing, it’s all worth it. 8. What is your typical training cycle? Double-days? Rest days? It depends on what time of the season it is but usually I do two sessions a day, 6 days a week with one rest day, or active recovery. But now the Regionals are coming up so I do two sessions on Tuesday and Wednesday, rest on Thursday and then like Regionals; Friday to Sunday training, and again rest on Monday. 9. Are you super strict with your nutrition? Paleo? No not at all, I eat when I’m hungry and what I feel my body needs, and usually that is meat, veggies and good carbs. 10. What do you like to do when you’re not training? Hobbies? Other sports? I like to spend time with my family and friends as much as I can, they make me happy. 11. Do you have a favourite movie? Favorite cheat meal? It’s an Icelandic movie called Màvahlàtur. And my favourite cheat meal is the Icelandic ice crem, full of candies from the store called Brynja. 12. Where do you see yourself in 5 years? Still competing in Crossfit? In five years I wish that I will be teaching coaches about gymnastics movements. I’m also learning how to be an actress and hopefully I will be a mom. And of course doing Crossfit! Title photos by Pete Williamson.